You've certainly heard the phrase "all hands on deck," but what about all Hans on Dune? 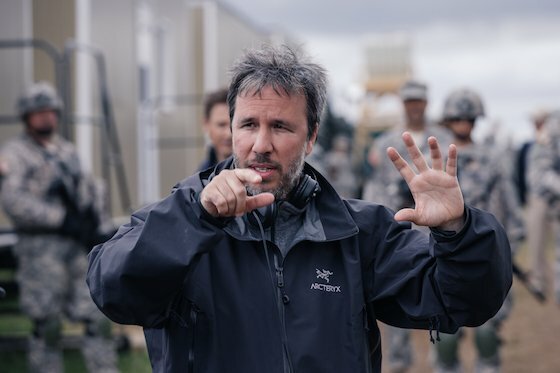 Canadian director Denis Villeneuve has announced that his massively anticipated Dune adaptation will be score by none other than Hans Zimmer. The film officially began production today, and Warner Bros. confirmed that Zimmer would be the man to soundtrack the project. Zimmer also scored Villeneuve's Blade Runner 2049. Along with the scoring news, Warner Bros. also confirmed the film's full cast. It includes Timothee Chalamet as Paul Atreides, Oscar Isaac as Duke Leto, Rebecca Ferguson as Jessica Atreides, Stellan Skarsgard as Vladimir Harkonnen, Dave Bautista as Glossu Rabban, Javier Bardem as Stilgar, Zendaya as Chani, Josh Brolin as Gurney Halleck, Jason Momoa as Duncan Idaho, David Dastmalchian as Piter De Vries and Charlotte Rampling as Reverend Mother Mohiam. A mythic and emotionally charged hero's journey, Dune tells the story of Paul Atreides, a brilliant and gifted young man born into a great destiny beyond his understanding, who must travel to the most dangerous planet in the universe to ensure the future of his family and his people. As malevolent forces explode into conflict over the planet's exclusive supply of the most precious resource in existence — a commodity capable of unlocking humanity's greatest potential — only those who can conquer their fear will survive. Dune will hit theatres on November 20, 2020.